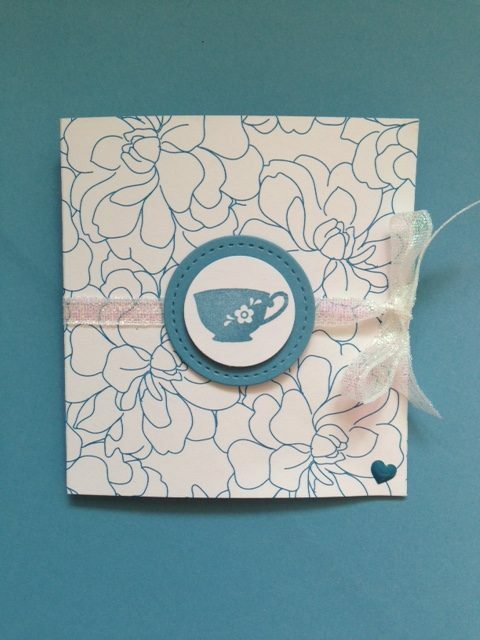 Today’s project is very quick and easy ~ tea pocket favors. 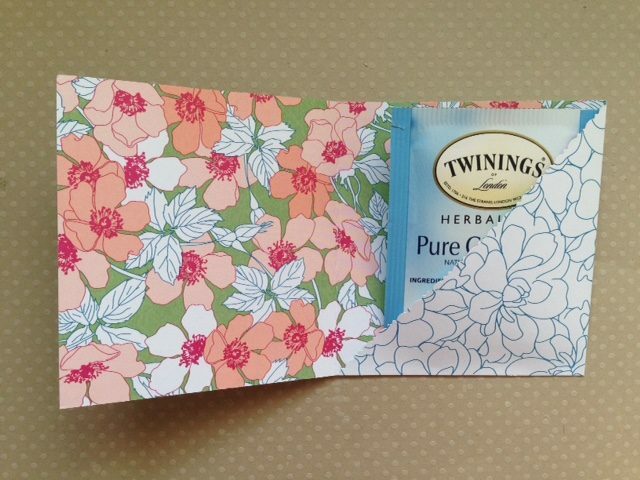 They are just a pretty way of packaging up some tea bags. Put one at each setting of a garden/tea party or add a few to a nice mug and wrap in cello for a gift . Plus, you get three favors out of one 12″ x 12″ piece of paper. ∗Please note: I bought individually wrapped Twinings brand tea bags to use for hygienic reasons. There are probably many more brands of individually wrapped tea bags but this is what I found at the local grocery store. You will need: 12″ x 12″ patterned paper, cutting tool of choice, scoring board, bone folder, decorative edge scissors, card stock scrap, stamp/ink, die/punch, adhesive, ribbon. 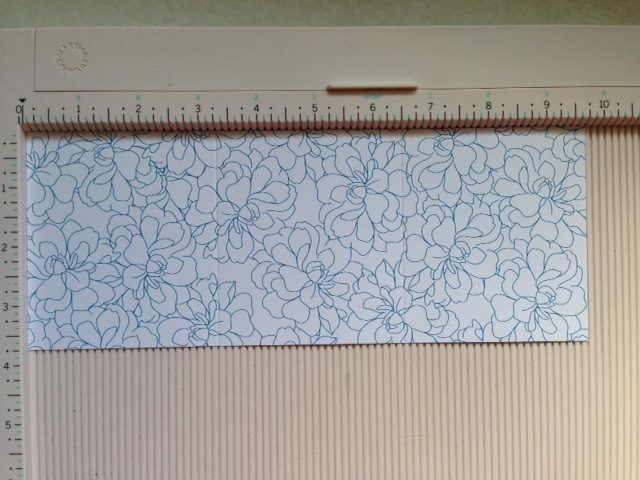 Cut a 12″ x 12″ piece of patterned paper to 3 3/4″ x 9 3/4″. Score at 3 1/4″. Turn and score at 3 1/4″ again. 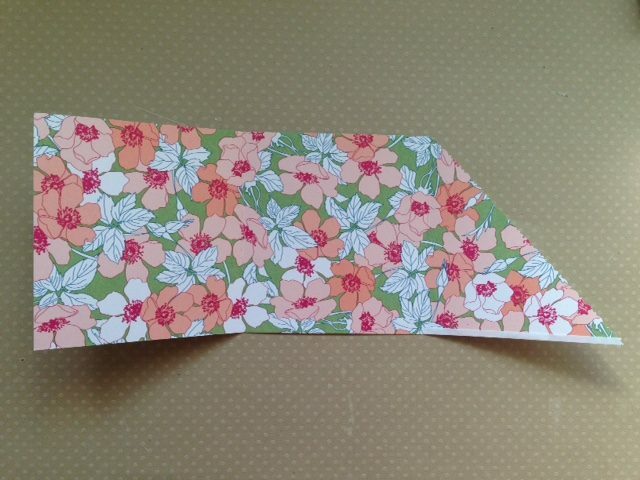 Fold on the score lines and crease with a bone folder. 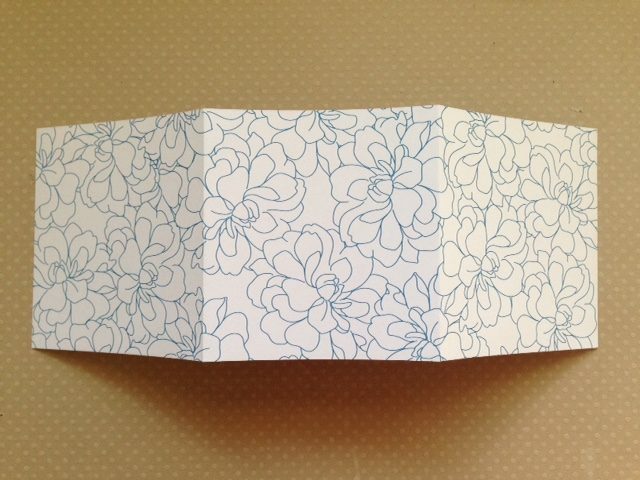 Lay the paper with the inside facing up and fold the far right flap inwards. Draw a light pencil line from the bottom left corner to the upper right corner. Cut along the line. 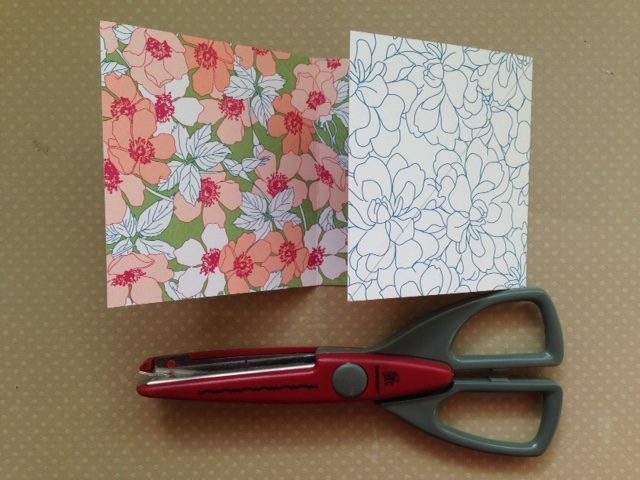 ∗Please note: Don’t worry if you don’t have decorative edge scissors. A straight line works just fine. Add adhesive along the bottom of the cut flap, as shown and press it closed. This is what forms the pocket. Add the tea bag to the pocket. Fold the cover closed, wrap a ribbon around and tie into a pretty bow. Add a tag and any embellishments. *Please feel free to sign up as a follower to receives updates by email so you don’t miss a thing!